Description: You, as an American, enjoy many freedoms that citizens in some other countries only dream of. 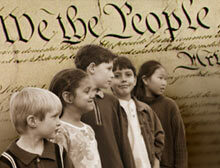 In this WebQuest, you will learn about the six basic principles of the Constitution and the checks and balances system. You will also discover why they are so crucial to the way you live your life everyday.